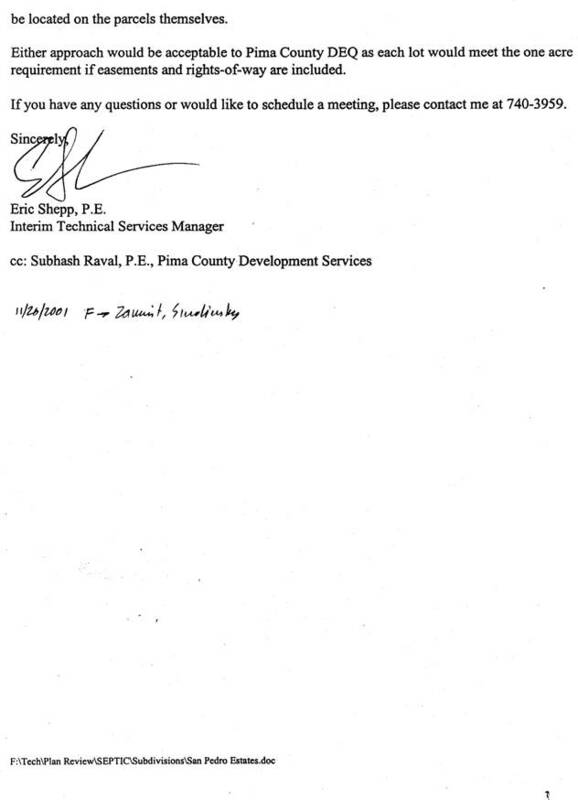 Note: The letters/memos have been rearranged in order from earliest date to enable to perceive a better picture of the transactions/also note FAX quality was very poor. 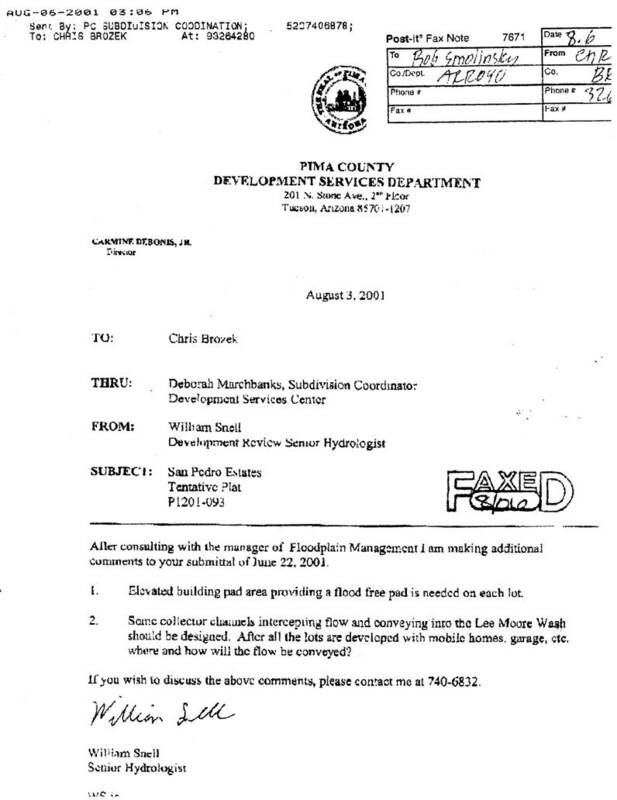 First correspondence: July 18, 2001— The most accurate report on the situation. 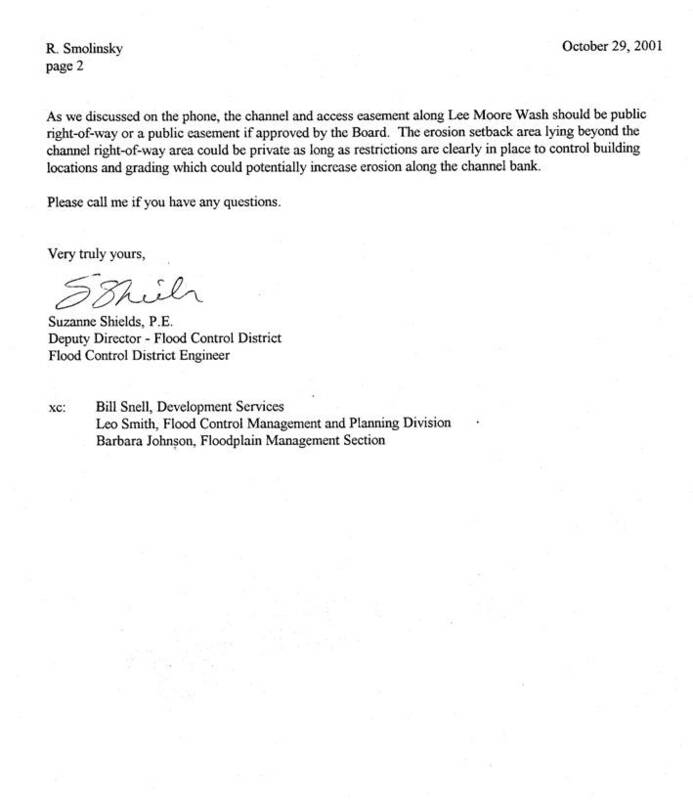 What happened so that the warnings were ignored. 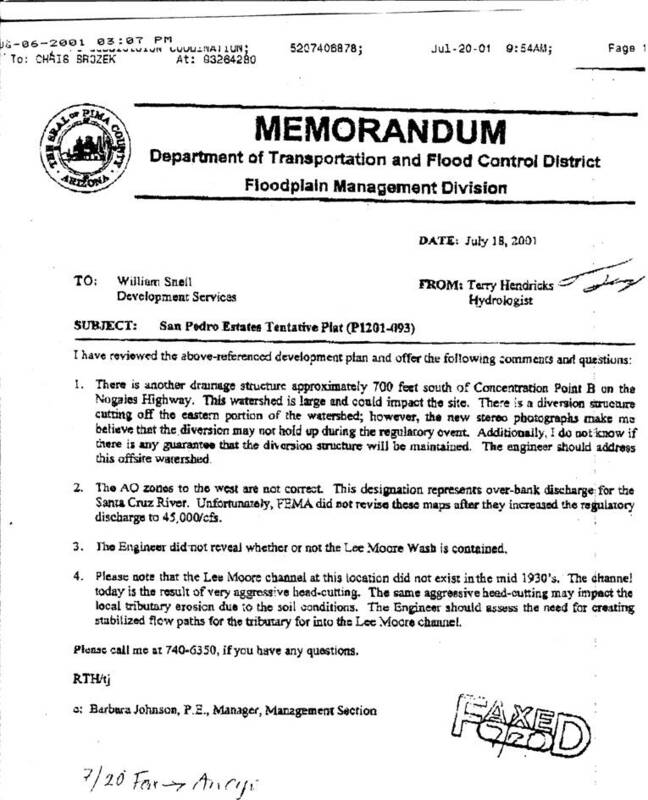 Third Correspondence: September 25, 2001—Bank at Lee Moore Wash protection suggested, never was installed. 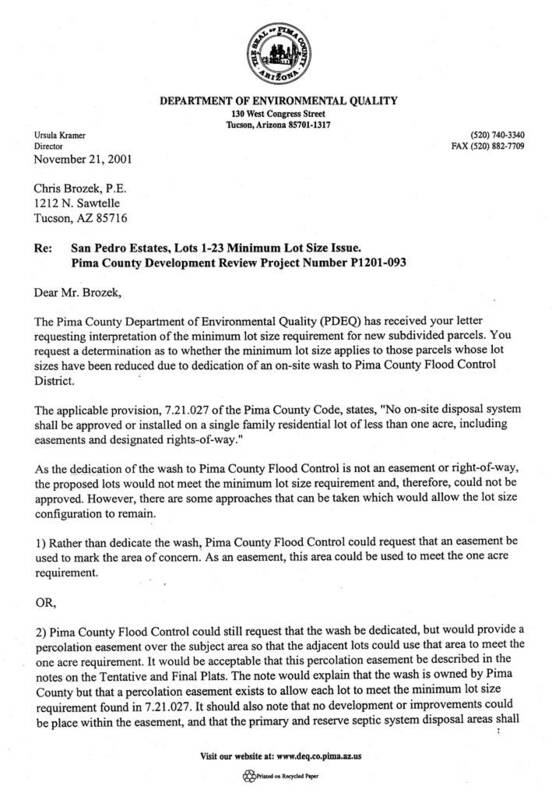 October 9, 2001: Engineer paid by developer, Robert P. Zammit, suggests that a Homeowners Association will be responsible for "mitigating potential future erosion." 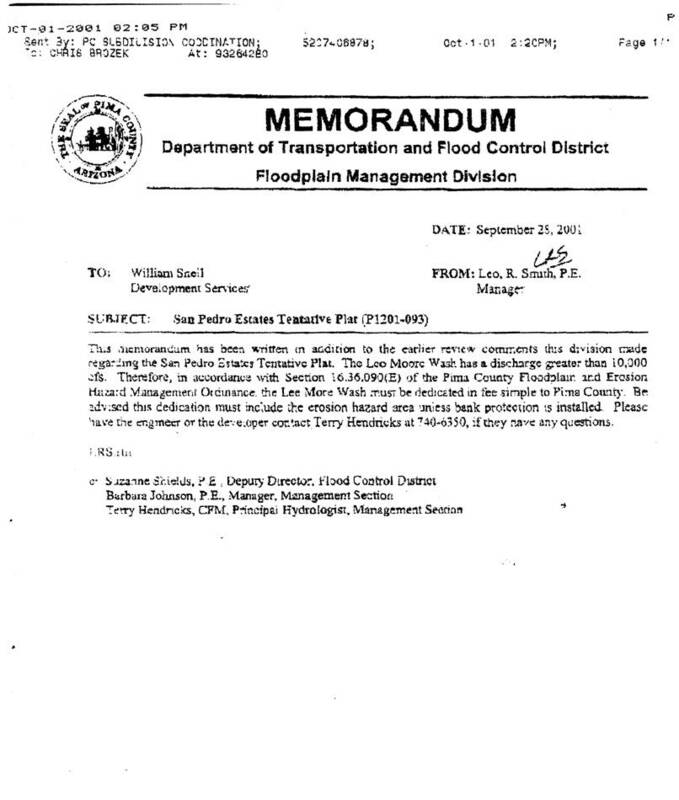 So unsuspecting new homeowners who have no idea about the potantial impact of future erosion on their property are supposed to be responsible??!! 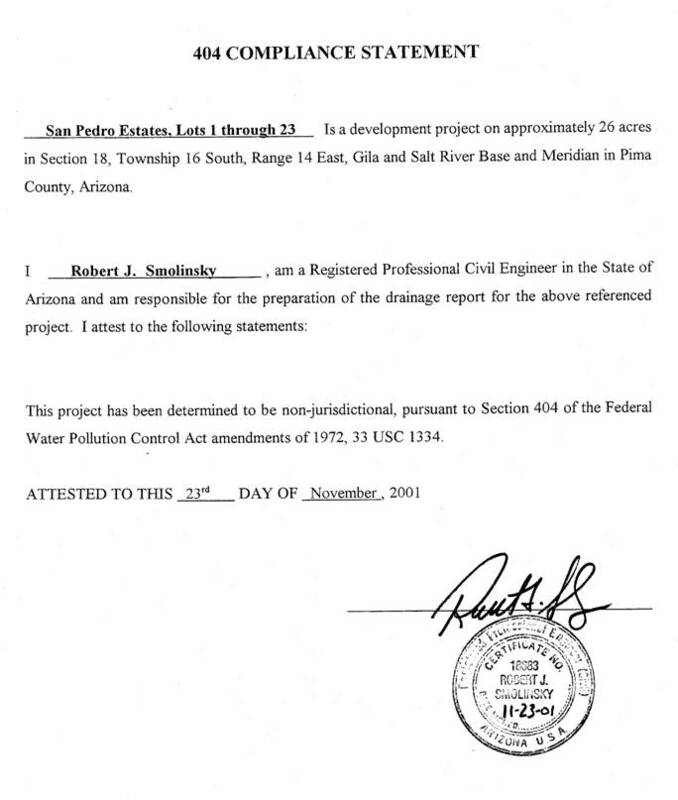 November 21, 2001: Letter from Pima County Department of Environmental Quality specifying how to adjust the lot size to circumvent the regulations of building on a wash.
November 23, 2001: Robert H. Smolinsky of Arroyo Engineers signs a statement that San Pedro Estates is in compliance with 404 clean water specifications, although two culverts under Nogales Highway deliver stormwater onto the property. 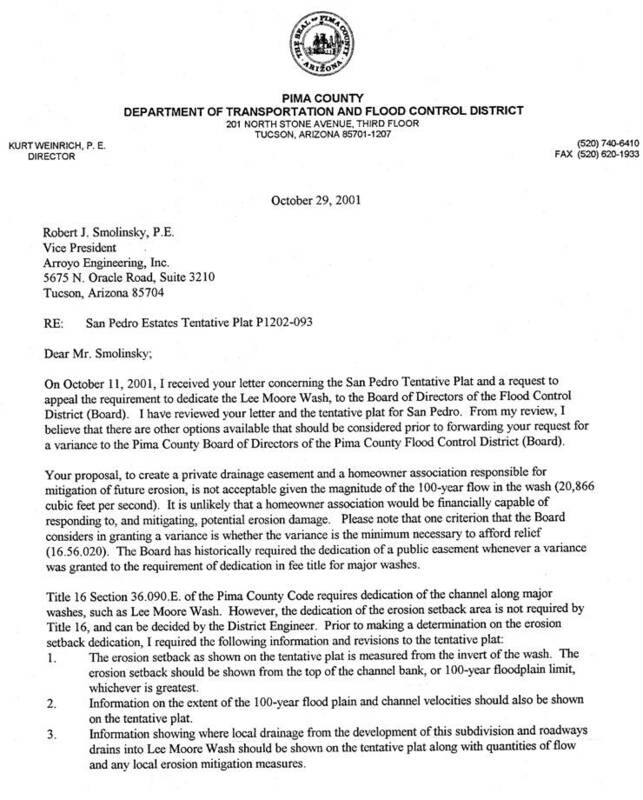 The water flows over septic tanks and horse properties, then to Lee Moore Wash at a point just a few miles from its junction with the Santa Cruz River.